"His productions are clearly thought out and good natured in their approach, making them both timely and absorbing at a juncture in our history when political trends make it easy to simply fall into apathetic retreat..."
"Dan Bianchi can both write and direct in the complex, often ironic, epic theater style. His productions are executed with literary intelligence, theatrical sophistication and entertaining flourish. His characters yearn to place their faith in religion, justice, and man's potential humanity to man." "I have watched his work grow over the years with considerable delight at Bianchi's sensitivity and talent for using the Epic Style of production. His works are ambitious, literate, intelligent and entertaining. Bianchi has joined Beckett at the periphery of existence to contemplate the future of mankind. I am sure that he has the makings of a major artist." HISTORY OF AMERICAN THEATER, Editor, S. Hart, Phd. DAN BIANCHI (Script/Director/Music/Sound/Art Production/Graphics/PR) has spent over 45 yrs in rock music, theater, film and fine arts. Awards include: 3 times BEST DIRECTOR Off Broadway; Billy Rose Musical Theater Award; ASCAP Musical Theater Award; National Endowment Grant; MacDowell Fellowship, The Beckett Prize (twice), The National Writers Guild Screenwriting Award. He's founded four international theater companies, written/directed over 60 plays/musicals, worked as screenwriter in Hollywood, directed 7 motion pictures with members of the Royal Shakespeare Co.. In 2002/3 he founded and ran VIDEOTHEATRE, NYC's only DV dedicated venue screening independent features and shorts. He has also published 12 books of film/radio/stage scripts at The House Of Fear Publishers. 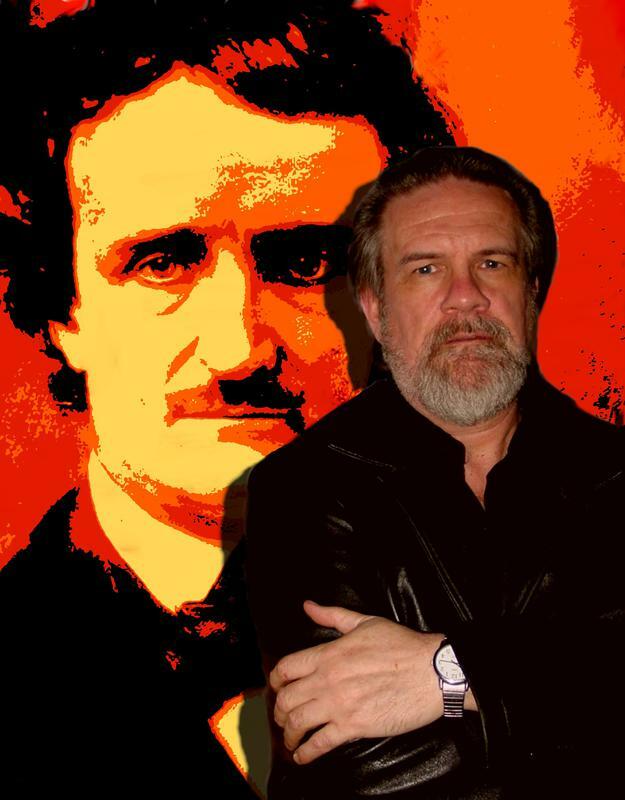 His latest books is MANHATTAN MACABRE - 200 YEARS OF STRANGE TALES FROM THE LIGHTS OUT CLUB which he plans to mount as a live production. Dan is also a Fine Artist who has exhibited his works at MOMA NYC; MOMA Australia; Brazil; Germany; Museum of Non Conformist Art-Russia, etc. A born NYer, he lives in Greenwich Village with his wife and daughter. He founded RADIOTHEATRE in 2004 and has since produced over 90 live shows, over 400 performances at NYC venues. Since 2004, Dan has been nominated for a 2010 Drama Desk Award, won 2 NY Innovative Theater Awards for Best Sound and Best Music. Radiotheatre has been nominated for 14 NYIT Awards including Best Performance Group five yrs in a row. He is the most produced living writer in NYC. In September, 2014 he was presented with the NY Innovative Theatre Awards annual ARTISTIC ACHIEVEMENT AWARD. 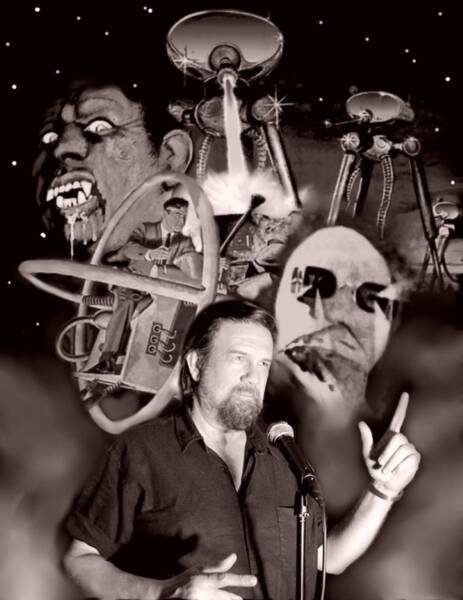 Recent shows he's written/directed/produced/designed include: THE EDGAR ALLAN POE FESTIVAL; 8 H.P.LOVECRAFT FESTIVALS; FRIGHT NIGHT; WAR OF THE WORLDS 4; MURDER ON BROADWAY, FRANKENSTEIN 2014, LIVE AT LOVECRAFT BAR, SHADOW OVER INNSMOUTH 2014, THE DUNWICH HORROR 2014, THE MOON BOG 2014, DRACULA 2013, THE STATEMENT OF RANDOLPH CARTER 2014, DAGON 2014, THE CALL OF CTHULHU 2014, THE BEAST IN THE CAVE 2014, FROM BEYOND 2014, KING KONG 2012; THE NAUGHTY VICTORIANS; THE HAUNTING OF ST.MARKS PLACE; GHOST STORIES; THE SHADOW OVER INNSMOUTH; REANIMATOR; THE STATEMENT OF RANDOLPH CARTER; THE MOON BOG; THE LURKING FEAR; THE HORROR AT MARTINS BEACH; THE EVIL CLERGYMAN; THE THE CALL OF CTHULU; THE DUNWICH HORROR; THE BEAST IN THE MOONLIGHT; THE MUSIC OF ERICH ZANN; DAGON; PICKMAN'S MODEL; FROM BEYOND; THE BEAST IN THE CAVE; THE TIME MACHINE; THE HAUNTING OF 85 EAST 4th STREET; FRANKENSTEIN; THE OBLONG BOX; ANNABEL LEE; WILLIAM WILSON; THE TELL TALE HEART; THE PIT AND THE PENDULUM; THE BLACK CAT; THE OVAL PORTRAIT:THE CASK OF AMONTILLADO; THE RAVEN; THE FALL OF THE HOUSE OF USHER; THE MASQUE OF RED DEATH; THE MURDERS IN THE RUE MORGUE; HOP FROG; MORELLA; LIGEIA; BERENICE; THE PREMATURE BURIAL; THE SPHINX; THE SYSTEM OF DR.TARR AND PROF.FETHER; THE CASE OF M.VALDEMAR; DRACULA; DRACULA'S GUEST; THE MOLE PEOPLE; KING KONG 08; THE ISLAND OF DR.MOREAU 07; THE TIME MACHINE 07; THE INVISIBLE MAN; THE WAR OF THE WORLDS 07; THE ISLAND OF DR.MOREAU 06; THE HAUNTING OF 85 East 4th STREET 06; THE PIGMAN OF DELANCEY STREET; KING KONG 05; THE WAR OF THE WORLDS 04; HARDBOILED 2; HARDBOILED 1; MADHOUSE.